Are you looking for a design or quote on your commercial lighting project? CDG Electrical can help. 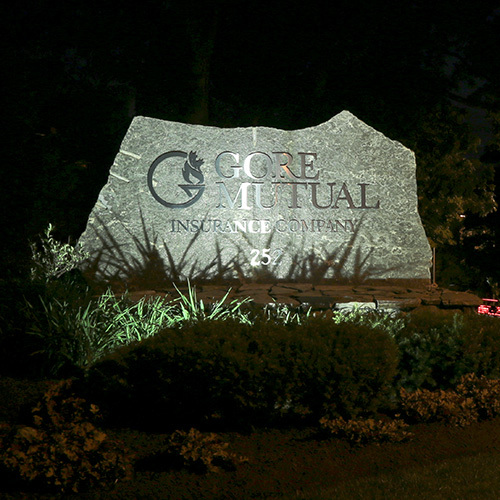 We design and install lighting systems for landscapes, parking and for safety. We’ll recommend the best power, brand and locations that suit your needs. Time to replace that old lighting? Likely. Cost savings on moving to LED lighting can be quite significant. Call us for more information. Our goals with commercial LED lighting systems are twofold. We help our customers save on hydro costs and we aim to create a more inspiring workplace environment. We can replaces old incandescent or fluorescent fixtures with new LED configurations. It’s a great thing when you never have to call someone to replace burned out bulbs! Ask us about the new LED panel displays. They are impressive. It’s important (and code) to have properly functioning exit signs throughout your commercial operation. With incandescent bulbs, there would have to be regular inspects and repair. When companies move to the new EXIT colour, they often replace the fixture with new LED style of lighting. If you need to light any internal or external signage, give us a call, we’ll help you see what your options are. We can inspect your electrical panel for issues that may not be code any longer. For insurance and safety reasons, we recommend every commercial property have this done periodically. 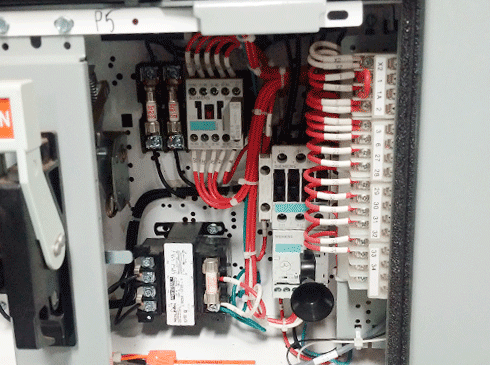 We can rewire or replace your existing panel to bring it up to code specifications. We can also bring in additional power if required for expanded operations. Blowing fuses or breakers? Pushing your power consumption to the limits? Avoid this situation and operate safely! We can increase power to where you need it most. We can even reroute circuits and offload those with lower usage. 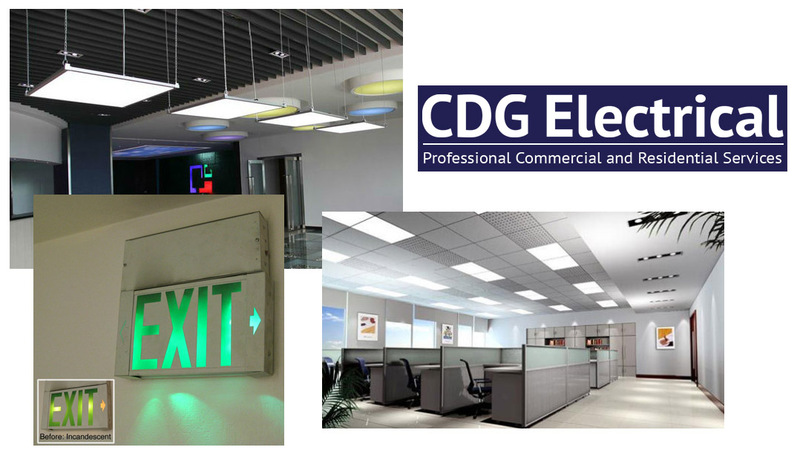 We offer a host of commercial services at CDG Electrical. Call us to find out more.